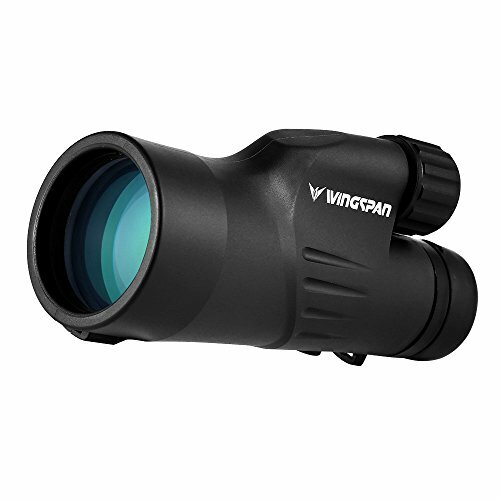 The Most Powerful 12X50 Monocular on the market! Comes with: Nylon Mesh Carrying Case, Eyepiece And Lens Protection Covers, and Non-Abrasive, Microfiber Lens Cleaning Cloth. DiamondBright Structural Optics Provide You with INDUSTRY LEADING Brightness and Clarity. Easily identify your target in wide view and zoom in to what feels like face-to-face distance, from over 1000 yards out, using a single hand! The Titan monocular is extremely lightweight and portable so you will always be prepared for a rare bird sighting. Features built in loop for wrist straps means your monocular is at your fingertips within seconds. Attached lens cover means you can cover its lens on the fly. If you have any questions about this product by Wingspan Optics, contact us by completing and submitting the form below. If you are looking for a specif part number, please include it with your message.